Zamzar is an online file conversion application that offers both free and paid services. The great advantage offered by Zamzar is that there is no software to download and install. All of the file modifications are processed by uploading the original file to Zamzar, and then downloading the resulting conversion. The range of file types supported by Zamzar is pretty broad. The service separates its conversions into five main groups: documents, images, music, videos, and compression. All common, and many not-so-common, conversions for these five formats are available. As the different types of supported conversions are too numerous to list here, see the Zamzar website for a full list of available file conversions. The Zamzar free file conversion tool is fairly simple to use. All you have to do is upload the file that you want to convert, choose a type of file that you want to convert to, and provide an email address to receive information about how to retrieve your converted file. 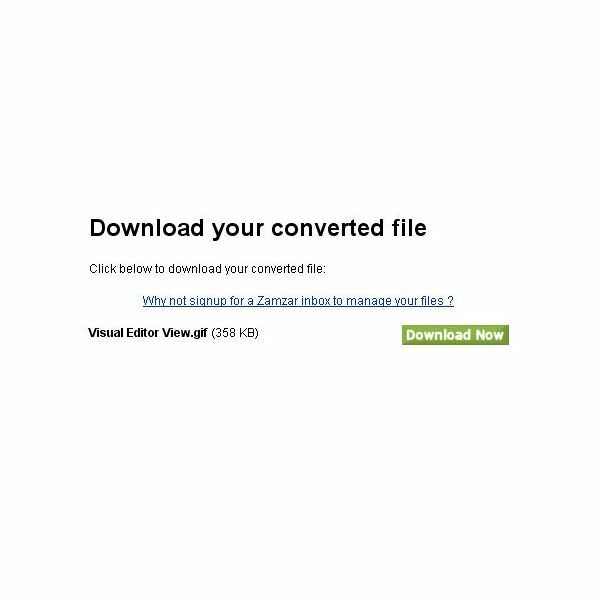 After uploading the file, you must wait for an email confirmation from Zamzar to let you know when the conversion is complete. Within the confirmation notice, there will be a link to click on to retrieve the converted file. Zamzar will retain the file for one day from the time the email is sent, so it is possible to submit files for conversion and then check on them later in the day. The speed with which files are converted through Zamzar seems to have quite a wide range. I tested the process at various times throughout the day and night. Some files were instantly converted, and the email confirmation notice was received within seconds of the initial request. At other times, it took several hours for this process to take place. As Zamzar also has several fee-supported options for its file conversion tool, it’s clear that priority is going to be given to the money accounts. So, during peak usage times, expect the conversion process to be a little slower for free accounts. Because it’s impossible to have any idea regarding how long a file conversion might take, Zamzar isn’t a dependable option if you’re working on a deadline. However, if you can deal with the possibility of waiting a few hours for the results, the ease of use that Zamzar offers makes it a worthy choice. 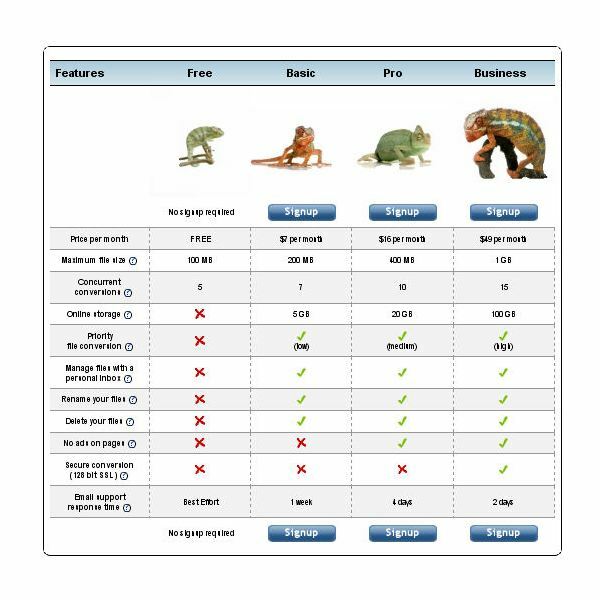 The free online conversion tool at Zamzar allows users to convert files that are up to 100 MB in size. As many as five files can be converted concurrently, but paying customers do get priority. Files processed through this option only remain on the Zamzar servers for one day and must be accessed through a link provided in a confirmation email. There are no options for online file management. The pricing for paid accounts starts at $7 a month for the Basic Plan and goes up to $49 per month for the Business Plan. Depending on the chosen plan, a number of additional perks become available. Among these extra features is the ability to convert larger files (up to 1 GB a file for the Business Plan), an increase in the number of concurrent conversions that can be processed (up to 15), and a personal inbox to allow better management of your file conversions. Looking for a quick way to convert an audio, video, or document file? We’ll take a look at several of the free file conversion utilities available for the Windows platform and see what they have to offer.